of the outer ring gear to create the VCT effect. it may be a way of eliminating the need for 6, 8, 9 and t10-speed autos. About 60% of Ford's US sales are F-Series and Transit and it makes up the most significant balance of their revenue and profits. That excludes the Expedition (or Mustang which shares drivetrain tech) and soon the Bronco and Ranger. And with Ford car sales evaporating and Crossover sales plateauing, they should be able to move over to 70% within the next 4-5 years. 2-This is the problem we had in late 1990s, Ford thought it was a truck company, and stopped investing in cars. we all know how that turned out. 3- Ford is losing global market share. 4- Ford is falling further behind Toyota, VW and Hyundai in profit and margins, even with truck sales booming. Ford cannot afford to take a break on cars. The problem with E-CVTs, conventional step Auto and CVTs. are the loses created under steady state conditions when hydraulic pressure (Clutch Actuation, pulley tension) or Electric resistance (E-CVT) is required to hold a Gear. The only transmission type that requires no energy to maintain a gear ratio is a manual or DCT. An I6 that is downsized and boosted and high tech. What's not to love. Smaller bore means total length should not be too bad. It only makes sense in a RWD car IMO. It could take the place of the 2.3EB in the Mustang too. I've seen the 1.0EB is capable of around 200HP so 2.0EB shouldn't have too much trouble getting close to 400HP! How much fun would that be?!? Another interesting thought about this hypothetical engine, I6s are naturally balanced and smooth so Ford could reduce the weight of the engine versus the 1.0EB by not needing as much of the crank balancing that the I3 has. In theory the I6 wouldn't even double the weight of the I3. Last edited by SP1966; 08-09-2017 at 06:50 PM. SP1966 and Bloggin like this. Be sure to drop this in the suggestions box at work, and remember, I get half the bonus! To be honest, I am so intrigued, I am going to lay it out and see what kind of relative package length it would be. If it flys, I will take all the credit. jpd80 and SP1966 like this. 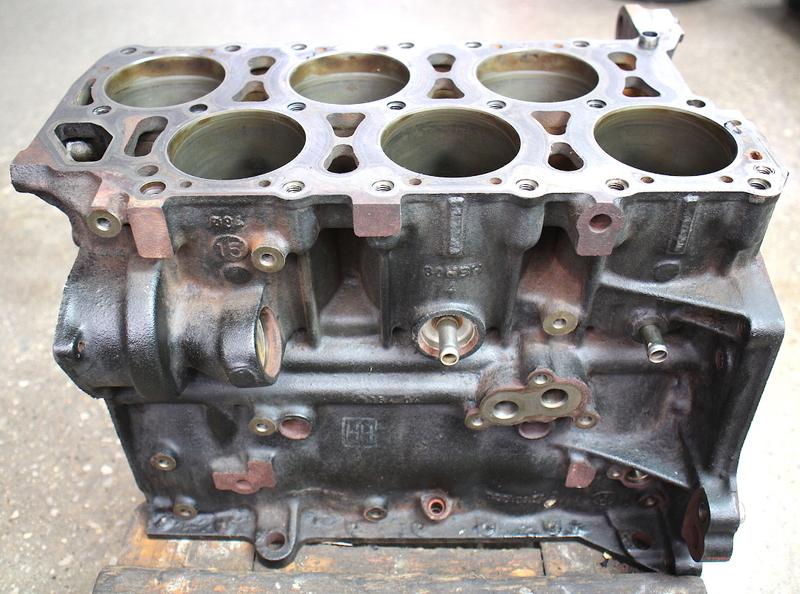 If so you might be into an engine that's very short - 22" or perhaps a bit of VW narrow V6 for good measure? Mercedes-Benz has your dream engine right now. Look at the wonderful new 53 AMG engine, a 3.0 lt turbo inline 6. Therefore, if you splice in (3) 78mm cylinder bores into the I3, you end up with an I6 of 2.0L displacement that measures only 86 mm more length than the I4 2.0L block – which is very little. Additionally, block height is much lower, which in turn lowers the entire engine CG by a significant amount. It’s a compelling little package. Great idea SP. I am trying hard to think of any drawbacks or show stoppers, and I can’t. falcon lover, 2b2, jpd80 and 2 others like this.